But the opportunity to enjoy views over London’s iconic skyline from the warmth of your own luxury apartment should not be dismissed, particularly if that home has a residents-only roof garden. 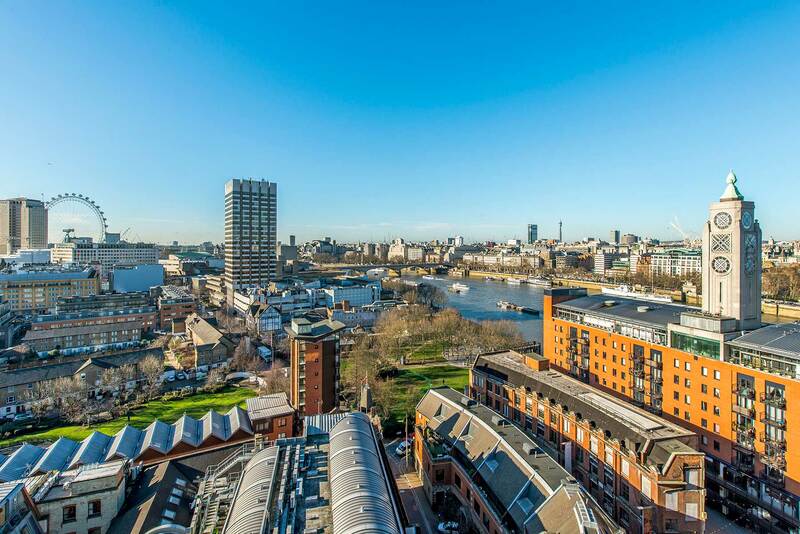 The best views over the city are found in the prime residential area that the South Bank of the River Thames is developing into. Demand for luxury homes on the South Bank is being driven by the exceptional standards of many of the residential projects currently under construction and the fact that they will benefit from what many are calling the Nine Elms effect. More than £15bn is being ploughed into the regeneration of 195 hectares of land between Lambeth Bridge and Chelsea Bridge. When complete by 2020, Nine Elms – which includes Albert Embankment – will be home to the US and Dutch embassies plus about 16,000 new high rise homes, 1.5m square feet of retail space, 2.5m square feet of office space, restaurants and leisure attractions. Two new Tube stations are also under construction connecting Nine Elms to the 3km extension to the Northern Line. This level of investment promises to deliver significant long-term benefits, not just in terms of property values but also in demand for rental properties within easy reach of both central London and the new diplomatic quarter. One development well placed to benefit from the work underway at Nine Elms is Merano Residences – a collection of 40 luxury two and three-bed apartments and duplexes, ranging from 110sq m (1150sq ft) to 345sq m (3700sq ft), on the Albert Embankment. Directly opposite Tate Britain and offering views of the Houses of Parliament, the scheme has been designed by Graham Stirk of world renowned architects Rogers Stirk Harbour + Partners – the firm behind other iconic residential schemes in London such as One Hyde Park in Knightsbridge, Neo Bankside on the South Bank and Riverlight in Nine Elms. Merano Residences is being built on the site of Eastbury House, a former 1960s office block that has now been demolished. When complete at the start of 2017, the new building – which will include office space on the lower floors – will be made up of three stepped bays ranging from 14 to 28 storeys in height. Under Graham Stirk’s direction, strong geometric lines will combine with external columns and bronze coloured metal mesh side panels to create a distinctive new addition to the London riverside. Step inside the landmark building, which takes its new name from a town in Italy just a few miles south of the Austrian border, and residents will come across the best of British design. The double-height lobby will contain a large piazza with a specially-commissioned art installation and a café plus the 24-hour concierge residents will benefit from. But the real selling point of this development is not the secure underground parking on offer or the fact each apartment will feature a highly sophisticated palette of the finest hand-selected materials. It is the location of Merano Residences. The development is being built on a stretch of the Albert Embankment where the River Thames runs north to south. This means the apartments facing the river face west, allowing residents to watch the sun go down on summer evenings. The Albert Embankment’s location in the centre of London also means that travelling within the capital could not be easier. A short stroll takes you to Westminster and the South Bank, while the Thames river boat at St George Wharf Pier and the Underground station at Vauxhall are both less than five minutes away. International travel is also convenient with no less than three major airports being less than 60 minutes away. When residents return home, they have access to unrivalled views of the city from spacious balconies plus a private skygarden that sits 140ft above the River Thames. This is why demand for properties in Merano Residences – where each home will occupy at least one whole coloured level in the landmark building – is likely to be high. To secure your luxury home in the heart of London, contact Garton Jones on or fill in the form below.